Many English churches and cathedrals that were built or rebuilt during the Victorian and Edwardian periods had the foundation stone or corner stone laid with Masonic honours. 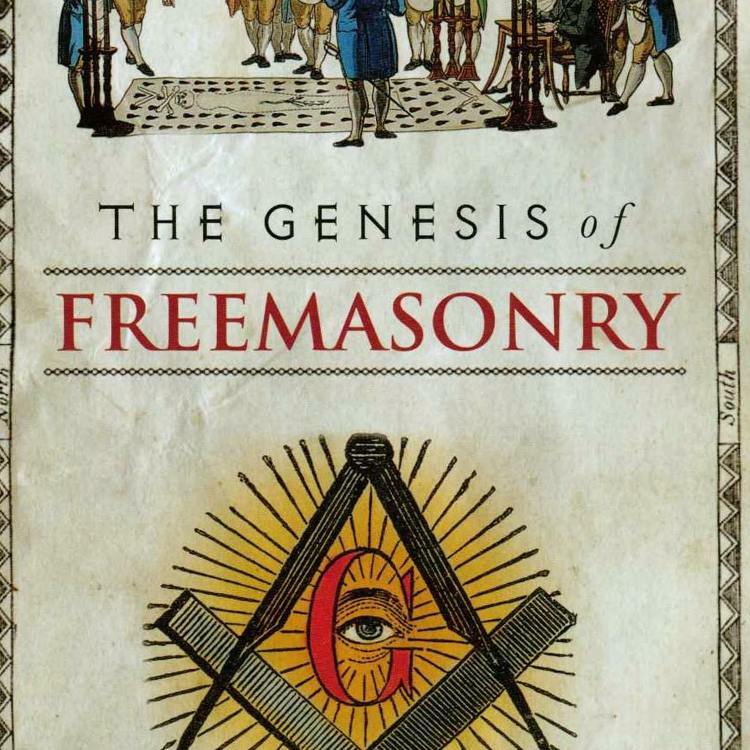 Indeed, many prominent Freemasons were also central to their local communities and took part in the Masonic ceremony which took place in the full public view and was part of the civic pride that occurred at the time. 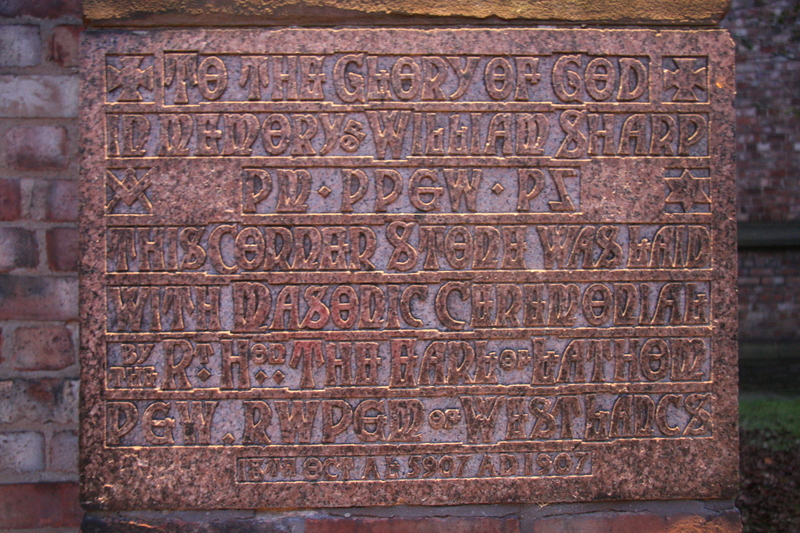 The following is a list of seven English churches and cathedrals that had Masonic links to the laying of their particular foundation stone. Newchurch was built in 1903 and the foundation stone, which can be found in the eastern part of the church, was ceremoniously laid with full Masonic honours by the Earl of Lathom; Provincial Grand Master for West Lancashire who also served at the time as Grand Senior Warden. He would become somewhat of a regular in taking a leading part in this kind of ceremony, especially with the building of St Margaret’s Church in the village of Orford (see below). St Margaret and All Hallows Church in Orford, Cheshire, was built in 1907, and the foundation stone was laid with a full lavish Masonic ceremony led by the Earl of Lathom, who was the Provincial Grand Master for West Lancashire (Orford was then in Lancashire). The church has features that reflect the arts and craft movement, and this can be seen in the stylistic writing and Masonic symbols presented on the marble stone, which is set in the north-eastern section of the church. Built in 1850 by local industrialist Henry Rogers, Holy Trinity Church became central to the expansion of Heath Town in Wolverhampton. It has long been rumoured that Rogers was a Freemason, though no records have come to light of his membership, although many of the civic buildings he financially supported, such as the local hospital, had a foundation stone laid with Masonic ceremonies, and there are Masonic gravestones in the churchyard. 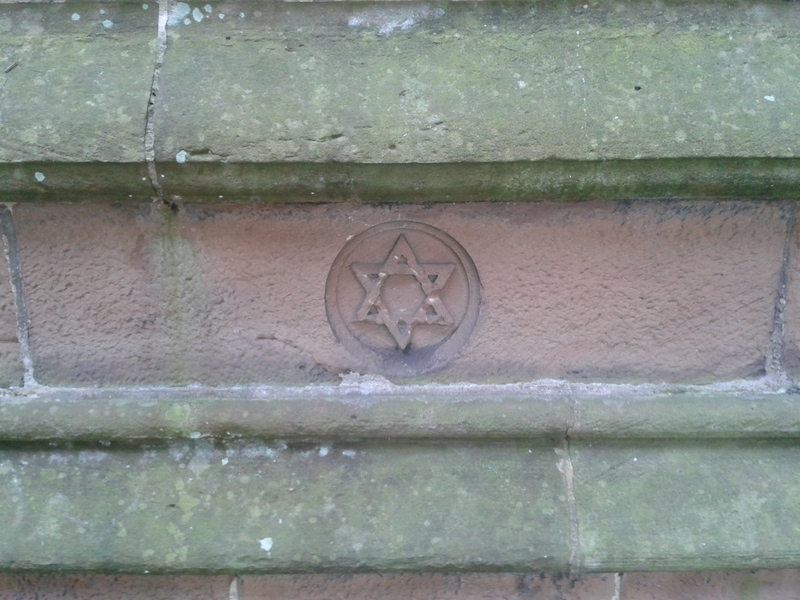 The stone itself simply reveals Solomon’s seal, and the church, though situated in a suburban area of Wolverhampton, sits in the centre of a large churchyard and helps to produce a village feel to the area. 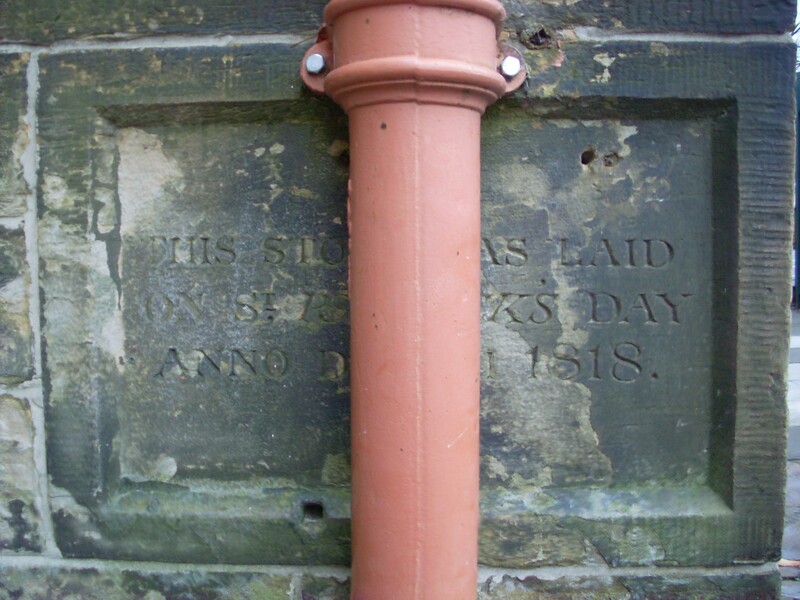 The foundation stone of the Gothic St Mary’s Church in Standishgate, Wigan, was laid on St Patrick’s Day, 1818; a Catholic Church that has served its community ever since. 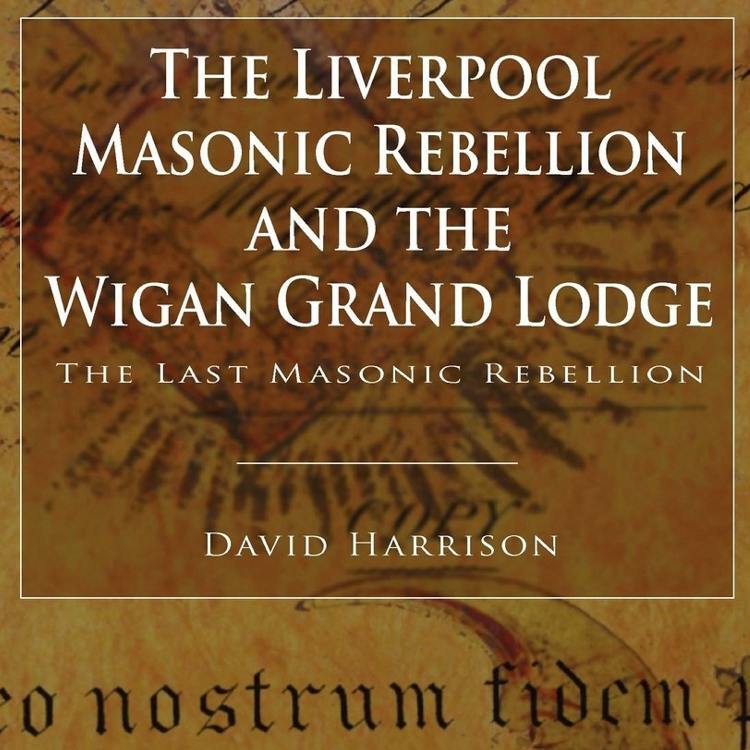 In his memoirs of the local Lodge of Sincerity and the infamous Wigan Grand Lodge, James Miller – the last surviving member of the Wigan Grand Lodge at the time – mentions that the lever and heavy maul used to lay the stone was presented to the Lodge of Sincerity in 1826 by the Master, John Bimson. 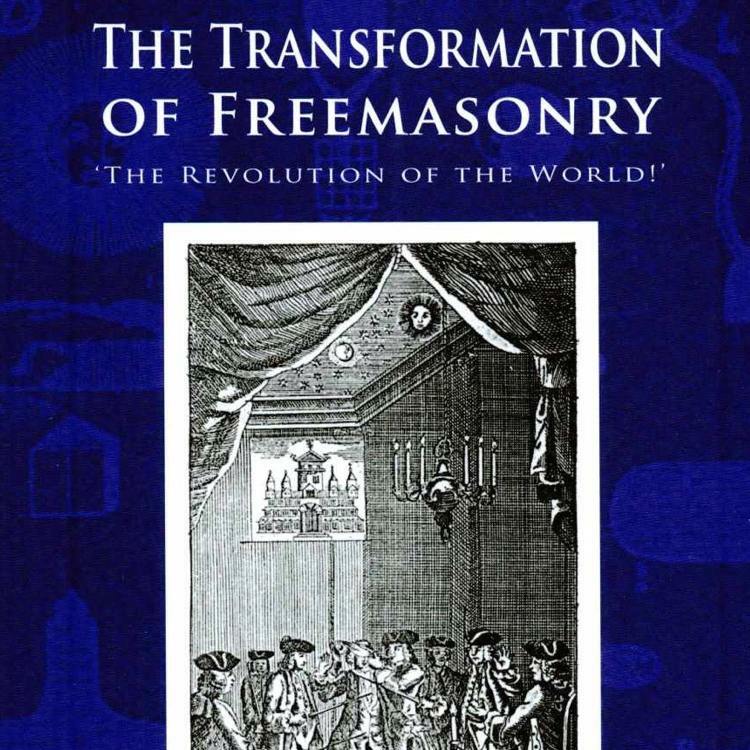 This is the only Catholic Church I have known to have had a Masonic connection. The foundation stone of this so called ‘Masonic’ church was laid in 1870 in the northeast corner of the building as per the Masonic ritual. The Lewis bolt with which the stone was suspended and the working tools with which it was proved, were subsequently handed over to St Chad’s Lodge No. 1129, in Rochdale. The church is described as ‘Rochdale’s Temple to Freemasonry’, and as being ‘dedicated to Masonic symbolism’, and was paid for by a Rochdale industrialist and Freemason Albert Royds. 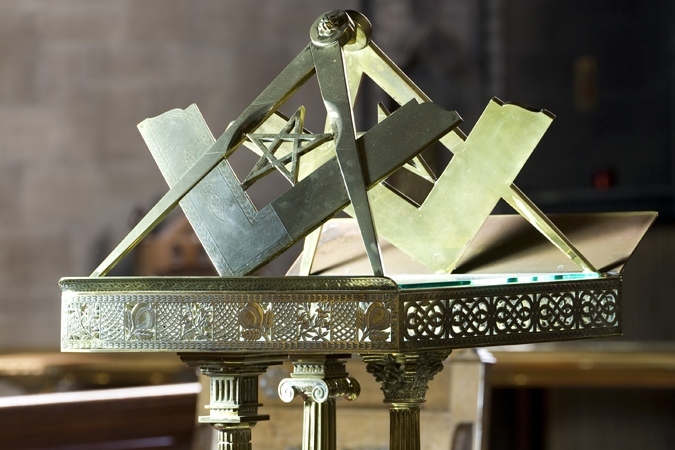 Masonic symbolism is everywhere within the church; from the elaborately designed Masonic stained glass windows, the lectern (pictured above), the symbolism displayed on the walls, and the interior itself being designed in the geometrical form of a cube, representing Solomon’s Temple. 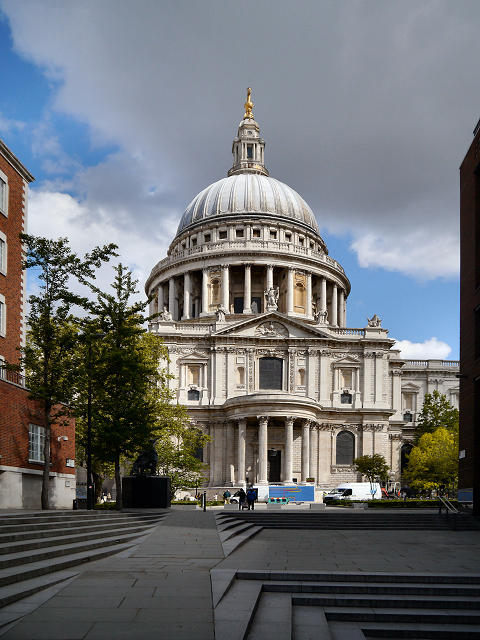 The laying of the foundation stone of the new St Paul’s cathedral was discussed by William Preston in his Illustrations of Masonry, who stated that Charles II used a mallet to level the stone on the 21st of June, 1675, Preston going on to say that the mallet was presented to the Lodge of Antiquity by Sir Christopher Wren. Preston was of course a member of the same lodge about a century later, and the mallet is still in the possession of the lodge. The Lodge of Antiquity has always been associated with Wren, and may have once had the name of St. Paul’s Lodge. 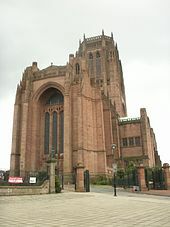 In 1904, the Grand Master, King Edward VII laid the foundation stone for the magnificent Gothic Liverpool Anglican Cathedral. 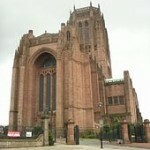 In 1906, the Pro Grand Master, the 3rd Earl Amherst, laid the foundation stone for the Chapter House in the cathedral. 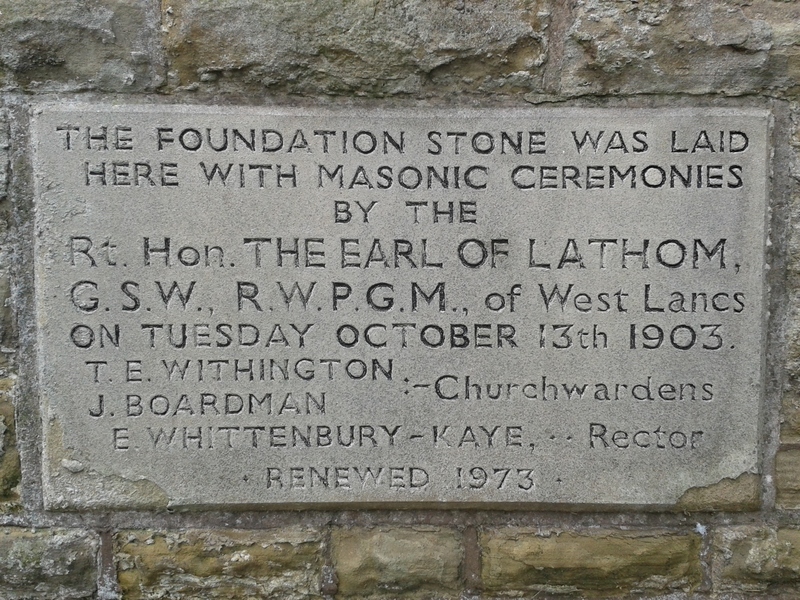 The Chapter House was funded by the West Lancashire Freemasons in memory of the first Earl of Lathom, Provincial Grand Master from 1873 to 1898. In 1924 the cathedral and the Chapter House were consecrated by the then Provincial Grand Master of West Lancashire, John Hearn Burrell. 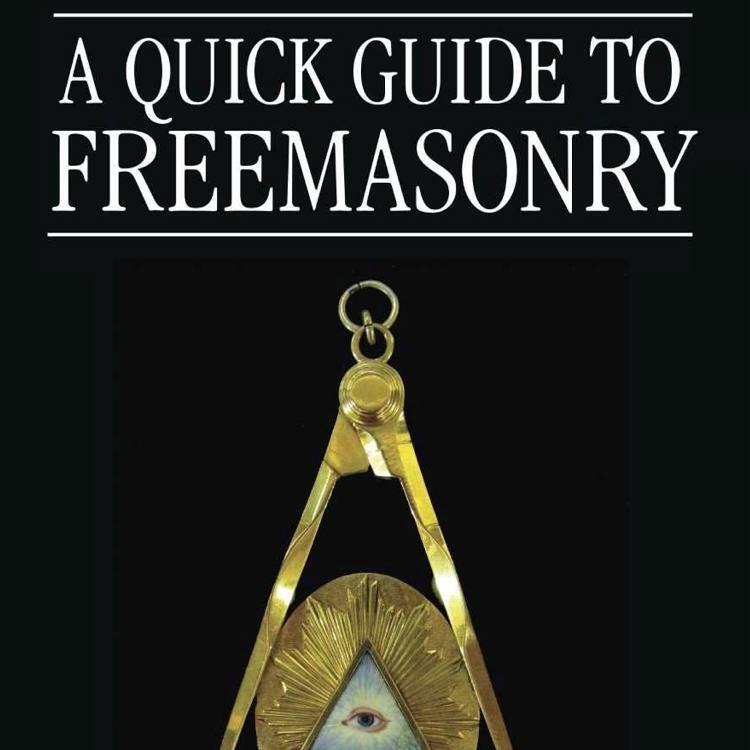 The cathedral thus has a strong Masonic connection, and the square and compass symbol can be found on the outside of the Chapter House.